There's one thing all dermatologists will agree on: retinol is the gold standard ingredient in skincare. Derived from vitamin A, it has the ability to exfoliate the top layer of skin cells at lightning speed, subsequently improving collagen, ironing away fine lines and wrinkles, minimising pigmentation and keeping acne at bay. It may sound too good to be true, but there are a number of important rules skin experts want you to remember when incorporating the wonder ingredient into your skincare routine for the very first time – and it really pays to stick to them. Ahead, dermatologist Dr Emma Wedgeworth shares her top five tips for nailing retinol in skincare – because no one wants to have to deal with sore, flaky skin. "When I prescribe clinical strength retinol, skin purging happens all the time," explained Dr Wedgeworth. "I really have to warn people, but I always tell my clients that they’ll get there – it’s just all this congestion coming out." By congestion, Dr Wedgeworth means spots – and quite possibly lots of them. "Vitamin A is very good at dissolving away comedones, which are blocked pores clogged with things like oil and keratin," explains Dr Wedgeworth. They can be 'closed' (flesh coloured bumps) or 'open' (blackheads, whiteheads and small red bumps). "Once that whole process is happening, skin becomes more inflamed and red because the skin recognises that something is changing, and so makes those little bumps into bigger, redder ones. Where people hadn’t noticed blocked pores under the skin so much, suddenly they notice them tenfold. For some people it can be really active, but it settles after that stage, so I always warn people that when it comes to acne, things get worse before they get better." "[Skin purging] is less likely to happen with a milder form of retinol," said Dr Wedgeworth. 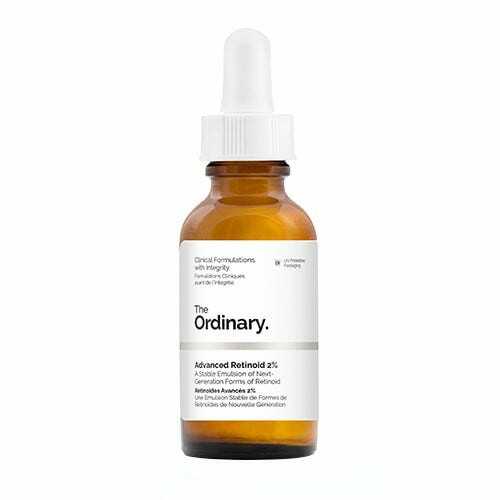 R29 recommends The Ordinary's Granactive Retinoid 2% in Emulsion, £8, SkinCeuticals' Retinol 0.3%, £45.99, or Clinique's Retinol Duo, £30 – all gentle yet effective on the skin. "The timeframe is different for everyone and it depends on the sort of skin you’ve got and how many blocked pores you have," added Dr Wedgeworth. "The first four to six weeks of using a retinol can be worse, but it tends to settle down soon after that." "It really pays to build up your retinol use," said Dr Wedgeworth. "Listen to your skin and combine retinol with other products. Usage depends how sensitive your skin is. If you’re really sensitive, start using it twice a week. Cleanse the skin, put a couple of drops into a non-comedogenic (non-pore clogging) moisturiser and apply. If you’re okay after two weeks, increase it to every other day, and if you aren’t sensitive, use it every other day. You can even put it neat onto the skin and apply moisturiser afterwards." While it's fine to use retinol and acids together sometimes, Dr Wedgeworth recommends being careful if you're a retinol novice. "I would ease back on the other actives you’re using, such as AHAs and BHAs (exfoliating acids). This way, most people tolerate retinol fine. It’s a fine line, though. A little bit of flakiness and redness suggests it’s working but you don’t want to push the skin too much." 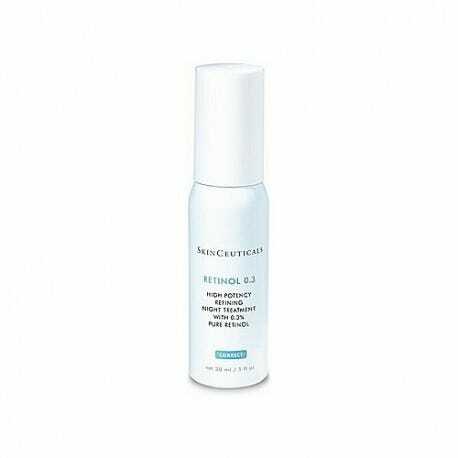 One thing you should always use in the day is sunscreen, as retinol can make your skin sensitive to UV. "This is always the first area people notice changes," explained Dr Wedgeworth, including redness and flaky, sore skin. "Really gentle retinol can actually be very helpful for this area, but at first, avoid the eye and lip area and gradually build it up. Always apply something around your lips and eyes first to act as a protective barrier. 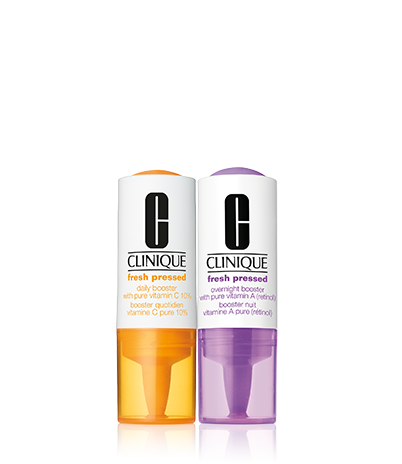 I love Clinique's Pep-Start Pout Perfecting Balm, £16."